Accessible to anyone who can run, throw and catch. Challenges eye-hand coordination, quickness, reaction time, strength, spatial awareness, teamwork. Official size 0 elementary school Tchoukball measures 5" diameter. Tchoukball is a movement-orientated game most similar to Olympic team handball, where the primary objective is scoring points by throwing a small ball off a frame rebounder. It is designed to be accessible to anyone who can run, throw and catch, making it a real game-changer and equalizer in 21st Century physical education. It also challenges eye-hand coordination, quickness, reaction time, strength, anticipation, spatial awareness and teamwork. 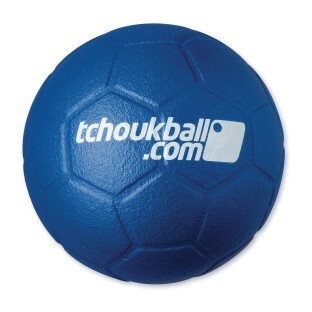 Official size 0 elementary school Tchoukball measures 5" diameter.